Lately I'm seeing several articles like this one from CNN, suggesting that Mitt is the savior of the GOP. Huck: Doing the Right Thing? 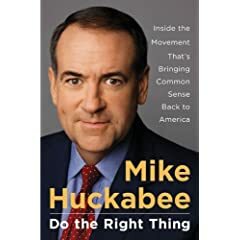 Huckabee's new tell-all book, Do The Right Thing: Inside the Movement That's Bringing Common Sense Back to America, debuts tomorrow. The man who is widely regarded as the mastermind behind George W. Bush's overwhelmingly unpopular tenure endorsed John McCain Saturday. 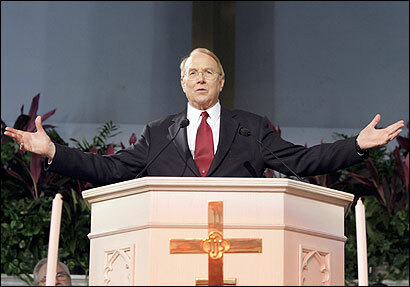 Okay, I'll be honest: I've been somewhat critical of Dr. James Dobson's involvement in politics for years. In an indication of just how desperate the situation is becoming for Senator McCain's campaign, both candidates are spending this final week of October campaigning in traditionally red states. I was thinking about leaders today, and about how we decide which guys would make good elected officials. Let's face it. McCain's entire campaign has centered around fearmongering.